Although the Beastie Boys may have sworn by "No Sleep Till Brooklyn," Brooklyn never sleeps. On Friday night, the Brooklyn community ushered in the 2012 summer arts festival season with an evening of cocktails, conversation and a concert in Williamsburg. 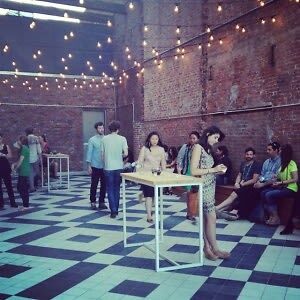 The festivities began at the Wythe Hotel with a cocktail party hosted by Dumbo Arts Festival and AT&T. 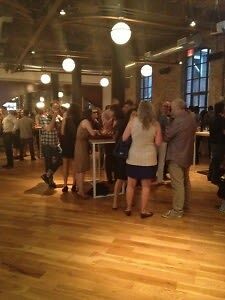 The event's location was a reminder that, despite the borough's bustle, even what is history remains relevant: built in 1901 as an old cooperage, the building's preservation and conversion speaks to Brooklyn's respect for its roots. 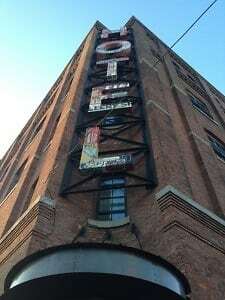 And its roots run deep, with festivals such as Dumbo Arts increasingly borough institutions. 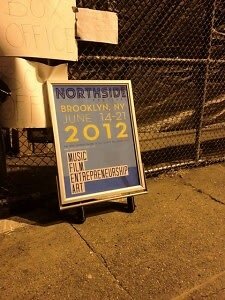 While Dumbo Arts Festival approaches its 16th season come September, its younger cousin the Northside Festival has staked out its place in the Brooklyn arts scene. 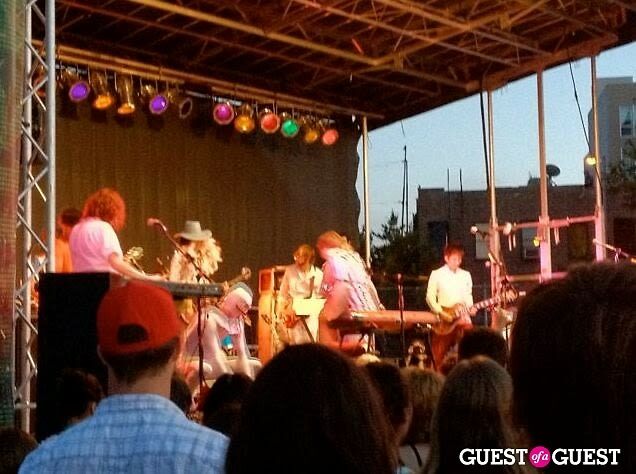 Following the cocktail party, this eight-day showcase for film, music, entrepreneurship and art kicked off with a concert in Williamsburg's McCarren Park featuring Of Montreal, Jens Lekman, The Thermals and Beach Fossils. 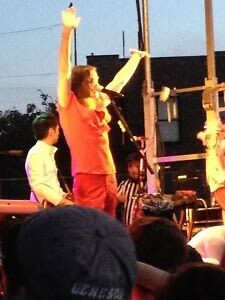 Although we were only able to catch Of Montreal, the seven-member band transformed the stark McCarren Park asphalt into a rollicking rave. Frontman Kevin Barnes, sporting a women's ruffled top and red hot pants, led the crowd through the Elephant Six group's 90-minute set with unerring energy, his blue eyeshadow and suggestive body language only enhancing his performance. The theatricality extended, however, beyond the band itself, to a series of costumed skits performed on (and, ultimately, off) the stage. From Mexican wrestlers to masked pigs to superheroes stuffed in lycra bodysuits, a set of actors showed no inhibition as they weaved their way through drum sets and amps and even the crowd. Guitarist Bryan Poole joined in on the fun too, engaging in a bit of crowd surfing that threatened to muss up his own boa and brimmed hat attire. 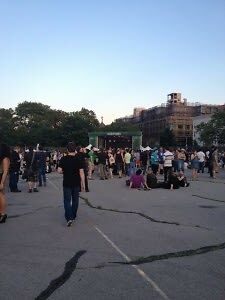 As Barnes led the crowd through the end of the band's psychadelic rock set, we wove our way out of the crowd, past the food trucks and the park's entrance gates. 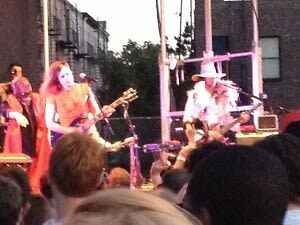 And yet the concert continued to echo through Williamsburg's streets, Barnes' voice trailing along the sidewalk even after we had turned the corner. Because although the sun had set, the sky the color of a summer nectarine, Brooklyn was far from sleep. In fact, the night was still only just beginning.